An Interview with Rob and Rachel of ThunderStone Books! 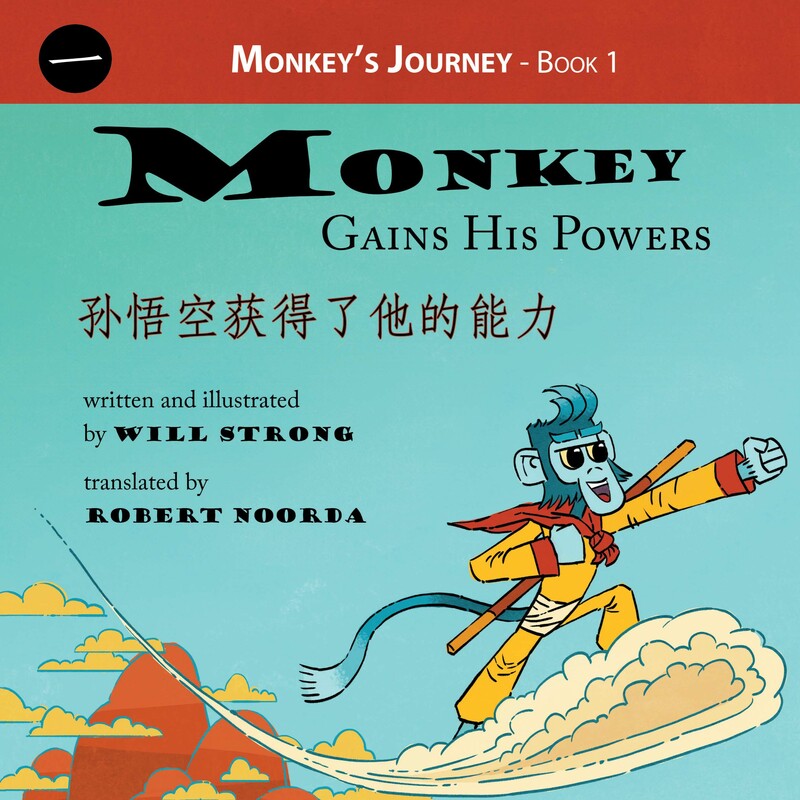 I’m so impressed with Monkey Gains His Powers, a Chinese/English bilingual picture book, by Will Strong and translated by Robert Noorda. I’m also very excited that it is the first in a series, and I look forward to seeing what comes next. I’m always looking for books in Mandarin that will get my sons interested in and curious about learning Chinese — and Monkey Gains His Powers does just that. Monkey Gains His Powers is so well done and so much fun! After reading it the first time I immediately went over to their website, thunderstonebooks.com, to learn more about them. Reading their website brought on a flurry of questions — and Rob and Rachel of ThunderStone Books were kind enough to talk with me. TPBR: How many books you are planning on publishing? Rachel: Last year was our first year in operation and we published two books. This year we are already publishing three books before summer: the second book in the Monkey series, a companion to Picturing Chinese, and an exciting science book called Elements of Evil (about a girl who uses chemistry to help her become a super villain). So we are growing more each year, but we also want to make sure to spend the time on each book to edit and market it properly and to create a product that we can be proud of. Because it is only Rob and I at the moment (in addition to some freelancers), we have a small output but strive to make each book count. Who knows what 2016 will bring? TPBR: What made you want to write a bilingual children’s book? Rob: We’ve both spent time learning languages, and wish we had more exposure at a young age. I remember watching these old Spanish videos in elementary school in Las Vegas, and a lot of that stuck with me for a long time, and made life a lot easier when I started taking Spanish classes. We wanted to give that opportunity to even more children, and in Chinese. From Monkey Gains His Powers. Image Courtesy of ThunderStone Books. TPBR: I see that Robert Noorda speaks Mandarin. What made him want to study Mandarin in the first place? Rob: While I was in high school, my grandparents lived in Beijing, teaching at Tsinghua University for two years. I spent one summer there, before my senior year of high school, and loved the entirely new culture, especially the language. I had taken classes in Spanish and German, but I loved Chinese, with its lack of both letters and cognates. Learning Chinese was different than anything else I had done before. TPBR: As a publisher, are you looking for or accepting submissions? Rachel: Definitely! We accept submissions from illustrators and from authors. You can read more about what we are looking for on our website:http://thunderstonebooks.com/submissions/. We have been impressed so far by the caliber of submissions we have already received. What we are looking for is quite niche: bilingual books, fiction with an emphasis on another culture and language, and fun educational books to engage children in subjects such as math and science. TPBR: What are some of your favorite picture books in Mandarin or English? Rob: My favorite picture book would probably be The Monster at the End of This Book, with Grover from Sesame Street. I could reread that book time after time, and it never got old. 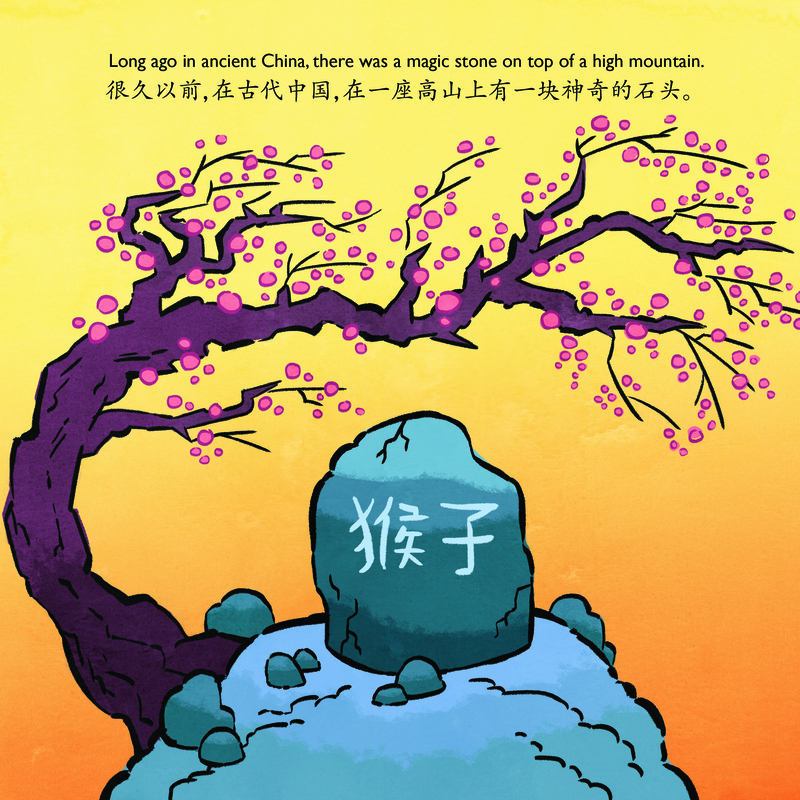 In Mandarin, I had a picture book a few years ago that told the story of come famous Chinese idioms. It helped illustrate the deeper meaning behind the language. I don’t remember the title, but I’ve still got it in a box somewhere. Rachel: My favorite picture book would have to be Heckedy Peg by Audrey and Don Wood because of the beautiful illustrations. I speak some Chinese but wouldn’t consider myself fluent. However, I quite enjoy reading traditional Chinese stories, some of my favorites being Journey to the West, Yuan Plays, and The Three Kingdoms. TPBR: What made you want to study Scottish Gaelic or are you a native speaker? Rachel: I am not a native Scottish Gaelic speaker, but my undergraduate degree is in English Language and Linguistics and I’ve always been fascinated by language, particularly small and minority languages. Pair that with my love for Scotland and all things Scottish (apart from bagpipe music) and Gaelic was an obvious choice. I have taken some Gaelic classes in Stirling, Scotland and I also received some funding to do a crash course in Gaelic on the Isle of Skye, at the Gaelic college there called Sabhal Mòr Ostaig. Gaelic is very different from both English and Chinese, but that’s one of the things I find very exciting about it. I think it looks and sounds beautiful and I hope to be fluent one day! Although we don’t have anything finalized or contracts signed as of yet, we are in contact with a few authors about some bilingual Gaelic/English books, so that is one area into which we are hoping to expand soon. Thank you so much to Rob and Rachel! My family loves Monkey Gains His Powers! 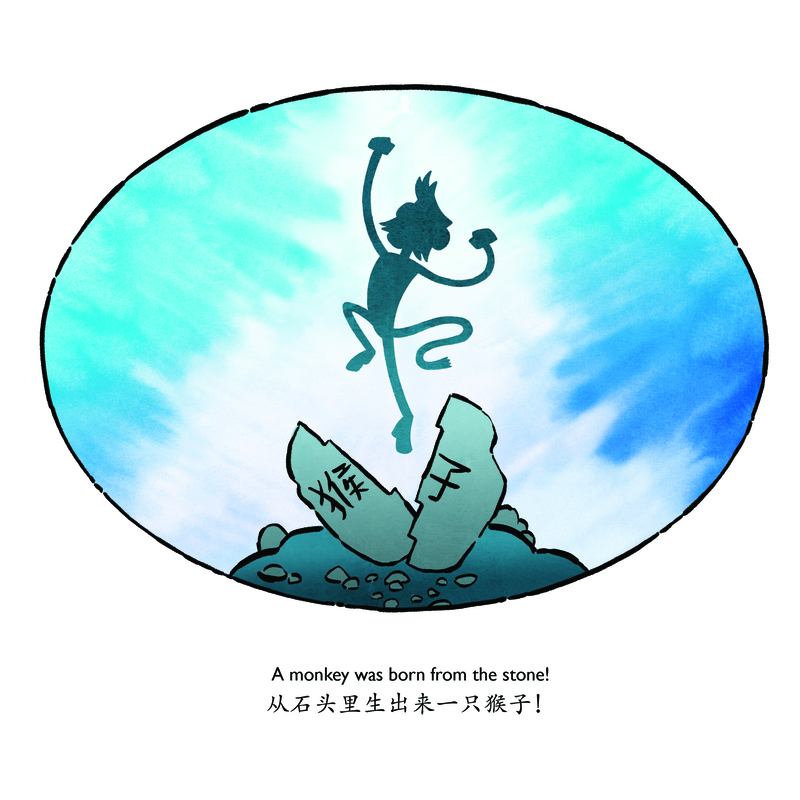 Whether you are looking to reinforce your Chinese or just want a fun book to read — Monkey Gains His Powers is fresh and energetic. We have a blast every time we read it. I hope you get a chance to read it soon! Please check out their website at thunderstonebooks.com and their Facebook page! This series sounds interesting and much needed! Like their website. Great interview! Thank you so much! I really enjoyed their answers! If anyone else has any questions, feel free to ask!